The ‘Democratic Extremism’ Narrative Distracts Attention From GOP ExtremismRepublicans and the MSM have their varying reasons for ignoring Trump-era GOP extremism and exaggerating ideological conflict in the Democratic Party. It’s Hard to Imagine an Endorsement More Useless Than the One Crowley Just GotWhether Crowley wants to back Ocasio-Cortez or challenge her in November, he couldn’t be happy with Joe Lieberman’s support for a third-party bid. A Good Primary Night for ProgressivesLefties, Democratic women, and Donald J. Trump could all claim some victories in the June 26 primaries in six states. 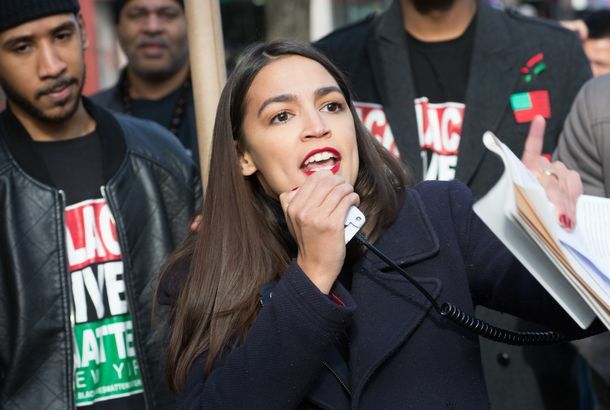 Alexandria Ocasio-Cortez Ousts Top House Democrat Joe Crowley in Stunning UpsetThe young progressive’s win over the fourth-ranking House Democrat is sending shock waves through Washington, like Eric Cantor’s 2014 primary loss. New York House Races Headline June 26 State PrimariesCompetitive House races in New York and gubernatorial contests in Colorado, Maryland, Oklahoma, and South Carolina are on the playbill for June 26. At Least Two People Want to Be New York’s Congressperson for Fifteen Months [Updated]Anthony Weiner’s seat won’t last for long — but a couple of people might still want it. Congressman Joe Crowley Double-Dares House Republicans to Drop Their Health InsuranceDemocrats rediscover the joy of political gimmicks. Bronx Congressman Target of Ethics ProbeJoe Crowley is one of a number of reps being investigated.